عرب جعفری, مصطفی, فلاح, نرگس, دادور, میترا, ناصرنژاد, بهرام. (1395). پتانسیل حذف استایرن توسط میکروارگانیسم هوازی رودوکوکوس اریتروپولیس PTCC 1767. مجله آب و فاضلاب, 27(2), 34-43. مصطفی عرب جعفری; نرگس فلاح; میترا دادور; بهرام ناصرنژاد. "پتانسیل حذف استایرن توسط میکروارگانیسم هوازی رودوکوکوس اریتروپولیس PTCC 1767". مجله آب و فاضلاب, 27, 2, 1395, 34-43. عرب جعفری, مصطفی, فلاح, نرگس, دادور, میترا, ناصرنژاد, بهرام. (1395). 'پتانسیل حذف استایرن توسط میکروارگانیسم هوازی رودوکوکوس اریتروپولیس PTCC 1767', مجله آب و فاضلاب, 27(2), pp. 34-43. عرب جعفری, مصطفی, فلاح, نرگس, دادور, میترا, ناصرنژاد, بهرام. پتانسیل حذف استایرن توسط میکروارگانیسم هوازی رودوکوکوس اریتروپولیس PTCC 1767. مجله آب و فاضلاب, 1395; 27(2): 34-43. در این تحقیق قابلیت حذف زیستی استایرن توسط میکروارگانیسم هوازی رودوکوکوس اریتروپولیس PTCC1767 سازگار نشده و سازگار شده مورد بررسی قرار گرفت. در هر دو حالت غلظت اولیه توده زیستی برابر31 میلی‌گرم در لیتر و میزان غلظت استایرن برابر 30،20،10، 90،70،50 و150 میلی‌گرم در لیتر در نظر گرفته شد و کلیه آزمایش‌ها در دمای 32 درجه سلسیوس و pH برابر 7 انجام شد. میکروارگانیسم غیر سازگار قادر بود غلظت 10 میلی‌گرم در لیتر استایرن را در مدت زمان 15 ساعت به‌طور کامل حذف نماید اما با افزایش غلظت استایرن میزان حذف کاهش یافت به‌طوری که در مدت زمان 48 ساعت تنها 17 درصد از غلظت 150 میلی‌گرم در لیتر استایرن حذف شد. توده زیستی سازگار شده تا غلظت 90 میلی‌گرم در لیتر توانست غلظت‌های اولیه مختلف استایرن در محدوده 10 تا 150 میلی‌گرم در لیتر را در مدت زمان 7/2 تا 45 ساعت به‌طور کامل حذف کند. سینتیک تخریب زیستی استایرن توسط میکروارگانیسم غیر سازگار شده نیز تعیین شد. داده‌های به‌دست آمده با مدل سینتیکی مونود و پنج مدل بازدارنده هالدین، وب، یانو، ایبا و تیزر تطبیق یافتند. مدل هالدین نسبت به تمام مدل‌ها (با 99/0= R2 و 008/0 = SSE) تطبیق مناسب‌تری داشت. پارامترهای سینتیکی مدل هالدین عبارت‌اند از : mg/g dry cellh 235/4qm= ، mg/L 594/7 Ks= ،mg/L 58/34Ki=. Biodegradation of styrene by an aerobic microorganism (namely, Rhodococcus erythropolis PTCC 1767) as well as the effects of bacterial cultures non-adapated and adapted to 90 mg/l styrene were investigated. In both cases, an initial biomass concentration of 0.31 mg/l and styrene concentrations of 10, 20, 30, 50, 70, 90, and 150 mg/ l were used and the tests were carried out at 32 °C and at pH 7. The results showed that the unadapted bacterial cultures were capable of biodegrading 10 mg/l in 15 h; however, removal efficiency was observed to decrease with increasing initial styrene concentration such that at a concentration of 150 mg/l, only 17% of the biomass was degraded over 48 h. On the other hand, the adapted microorganisms were capable of completly degrading Styrene at various initial concentrations of 10 to 150 mg/l over 2.7‒45 h. The kinetics of styrene biodegradation by R. erythropolis PTCC 1767 was also studied. The styrene bioremoval data fitted to the Monod model and to five inhibition kinetic models (namely, Haldane, Webb, Yano, Aiba, and Teissier-type). Among these models, the Haldene one was found to fit satisfactorily the kinetic data (R2>0.99, SSE=0.008) with the following Haldane model parameters: qm=4.235 mg/g dry cell h; Ks= 7.594 mg/l; and Ki= 34.58 mg/l. 1. Gąszczak, A., Bartelmus, G., and Greń, I. (2012). “Kinetics of styrene biodegradation by Pseudomonas sp.E-93486.” APPL. Microbiol. Biotechnol. , 93, 565-573. 2. Tchobanoglous, G., Burton, F.L., and Stensel, H.D. (2012). Wastewater engineering, treatment and reuse, 5th Ed., Metculf and Eddy, McGraw-Hill Inc., NY. 3. 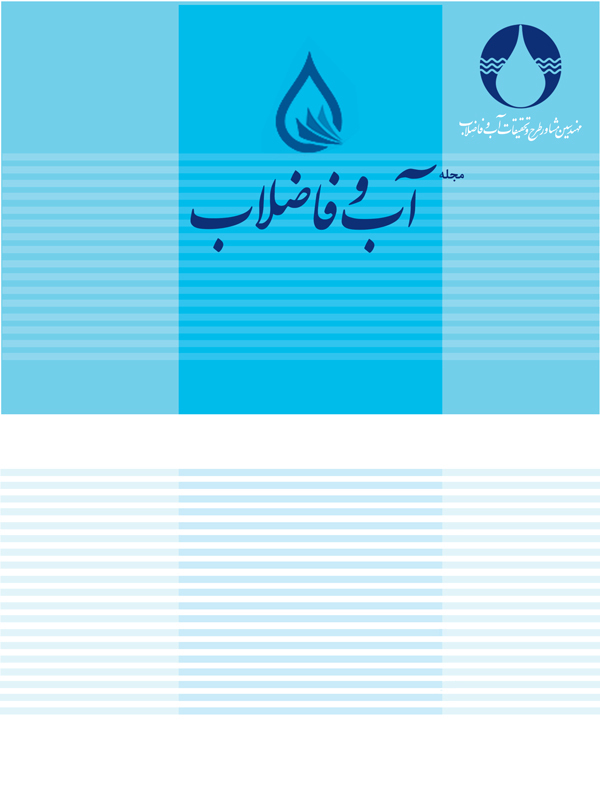 Fallah, N., Bonakdarpour, B., Nasernejad, B., Alavimoghadam, M. (2010). “The use of submerged membrane bioreactor for the treatment of a styrene containing synthetic wastewater.” Iran. J. Environ. Haelth. Sci. Eng., 7, 115-122. 4. Warhurst, A.M., and Fewson, C.A. (1994) “Microbial metabolism and biotransformation of styrene.” A Review, Appl. Bacter., 77, 597-606. 5. Fritsche, W., and Hofrichter, M. (2005). “Aerobic degradation of recalcitrant organic compounds by microorganisms.” Environmental Biotechnology, 45, 203-227. 6. Babaee, R., Bonakdarpour, B., Nasernejad, B., and Fallah, N. (2010). “Kinetics of styrene biodegradation in synthetic wastewaters using an industrial activated sludge.” Hazard. Mater., 184, 111- 117. 7. Cox, H.H.J., Moerman, R.E., Baalen, S.V., Heiningen, W.N.M.V., Doddema, H.J., and Harder, W. (1997). “Performance of a styrene-degrading biofilter containing the yeast Exophiala jeanselmei.” Biotechnol. Bioeng, 53, 259-266. 8. Okamoto, K., Izawa, M., and Yanase, H. (2003). “Isolation and application of a styrene degrading strain of Pseudomonas putida to biofiltration.” J. Biosci. Bioeng, 95, 633-636. 9. Zilli, M., Converti, A., and Felice, D.R. (2003). “Macrokinetic and quantitative microbial investigation on bench scale biofilter treating styrene-polluted gaseous streams.” Biotechnol. Bioeng., 83, 29-38. 10. Warhurst, A.M., Clarke, K.F., Hill, R.A., Holt, R.A., and Fewson, C.A. (1994). “Metabolism of styrene by Rhodococcus rhodochrous NCIMB 13259.” Appl. Environ. Microbiol., 60, 1137-1145. 11. Annachhatre, A.P., and Gheewa, SH. (1996). “Biodegradation of chlorinated phenolic compounds.” Biotechnol. Adv., 14, 35-56. 12. Silva, F., Pirra, A., Sousa, J., Arroja, L., and Capela, I. (2011).” Biodegradation kinetics of winery wastewater from port wine production.” Chem. Biochem. Eng., 4, 493-499. 13. O’Leary, N.D., O’Connor, K.E., and Dobson, A.D.W. (2002). “Biochemistry genetics and physiology of microbial styrene degradation.” A review, FEMS Microbiol., 26, 403-417. 14. Itoh, N., Yoshida, K., and Okada, K. (1996). “Isolation and identification of styrene-degrading Corynebacterium strains and their styrene metabolism.” Biosci. Biotechnol.Biochem., 60, 1826-1830. 15. Burbark, B.L., and Perry, J.J. (1993). “Biodegradation and biotransformation of groundwater pollutant mixture by Mycobacterium vaccae.” Appl. Environ. Microbiol., 59, 1025-1029. 16. Cao, W., and Wang, Y. (2004). “Compound - specific hydrogen and carbon isotopic fractionation during artificial enhanced bioremedation of petrochemical hydrocarbons.” Proceeding of 227th ACS National Meeting, Anaheim, CA, USA, Washington, DC. 17. Vazquez, R. G., Youssef, C.B., and Waissman- vilanova, J. (2005). “Two- step modeling of biodegradation of phenol by an acclimated activated sludge.” Chem. Eng, 117, 245-252. 18. Rene, E.R., Veiga, M.C., and Kennes, C. (2010). “Biodegradation of gas-phase styrene using the fungus Sporothrix variecibatus: Impact of pollutant load and transient operation.” Chemosphere, 79, 221-227. 19. Martínková, L., Uhnáková, B., Pátek, M., Nešvera, J., and Křen, V. (2009). “Biodegradation potential of the genus Rhodococcus.” A Review, Environment. International, 35, 162-177. 20. De Carvalho, C.C.C.R. , and Da Fonseca, M.M.R. (2005). “The remarkable Rhodococcus erythropolis.” Appl. Microbiol. Biotechnol, 67, 715-726. 21. Ejkova,´ A.C., Masa´k, J., Jirku˚, V., Vesely´, M., Pa´tek, M., and Nesˇvera, J .(2005). “Potential of Rhodococcus erythropolis as a bioremediation organism.” Appl. Microbiol. Biotechnol, 21, 317-321. 22. Andreozzi, R., Cesaro, R., Marotta, R., and Pirozzi, F. (2006). “Evaluation of biodegradation kinetic constants for aromatic compounds by means of aerobic batch experiments.” Chemosphere, 62, 1431-1436. 23. Vodicka, P., Koskinen, M., Naccarati, A., Oesch-Bartlomowicz, B., Vodickova, L., Hemminki, K., and Oesch, F. (2006). “Styrene metabolism, genotoxicity, and potential carcinogenicity.” Drug Metab Rev., 38, 805-853. 24. Lin, C.W., Cheng, Y.W., and Tsai, S.L. (2007). “Multi-substrate biodegradation kinetics of MTBE and BTEX mixtures by Pseudomonas aeruginosa.” Process Biochemistry, 42, 1211-1217. 25. Jung, I.G., and Park, C.H. (2005). “Characteristics of styrene degradation by Rhodococcus pyridinovorans isolated from a biofilter.” Chemosphere, 61, 451-456. 26. Carla, C.C.R., and Carvalho, D. (2012). “Adaptation of Rhodococcus erythropolis cells for growth and bioremediation under extreme conditions.” Microbiology, 163, 125-136. 27. Grady Jr, C.P.L., Smets, B.F., and Barbeau, D.S. (1996). “Variability in kinetic parameter estimates: A review of possible causes and a proposed terminology.” Water Res., 30, 742-748. 29. Jorio, H., Brzezinski, R., and Heitz, M. (2005). “A novel procedure for the measurement of the kinetics of styrene biodegradation in a biofilter.” J. Chem. Technol. Biotechnol., 80, 796-804. 30. Oh, W.D., Lim, P.E., Seng, C.E., Mohamed, N., Adnan, R., Leong, K.Y., and Voon, S.Y. (2012). “Effect of initial biomass concentration on bioregeneration of 4-chlorophenol-loaded granular activated carbon: Kinetic and efficiency studies.” J. Chem. Technol. Biotechnol., 3, 253-263. 31. Sahinkaya, E., and Dilek, F.B. (2005). “Biodegradation of 4-chlorophenol by acclimated and unacclimated activated sludge—evaluation of biokinetic coefficients.” Environ. Res., 99, 243-252. 32. Anchatra, A., and Vala, J. (2006). “Improved aerobic biodegradation of abietic acid in ECF bleached Kraft mill effluent due to biomass adaptation.” J. Hazard. Mater, 135, 256-263. 33. Sae´z, P.B., and Rittmann, B.E. (1993). “Biodegradation kinetics of a mixture containing a primarysubstrate (phenol) and an inhibitorycometabolite (4-chlorophenol).” Biodegradation, 4, 3-21. 34. Buitron, G., Gonzales, A., and Lopez-Marin, L.M. (1998). “Biodegradation of phenolic compounds by an acclimated activated sludge and isolated bacteria.” Water Sci. Technol., 37, 371-378. 35. Shuler, M.L., and Karagi, F. (1992). Bioprocess Engineering, Prentice-Hall Inc., New Jersry. 36. Hill, G.A., Milne, B.J., and Nawrocki, P.A. (1996). “Cometabolic degradation of 4-chlorophenol by Alcaligenes eutrophus.” Appl. Microbiol. Biotechnol., 46, 163-168.